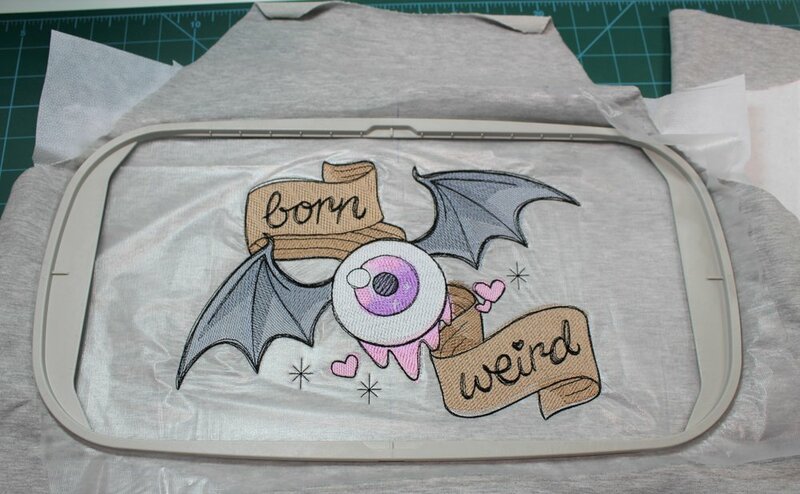 One of the first sites I came across when googling embroidery designs was Urban Threads. They describe their designs as alternative and offbeat. Checkout their website for helpful videos and tutorials. 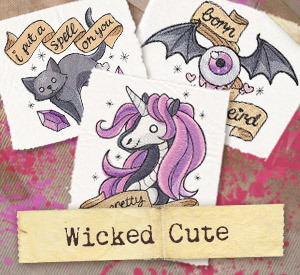 I was drawn to the Wicked Cute design pack. 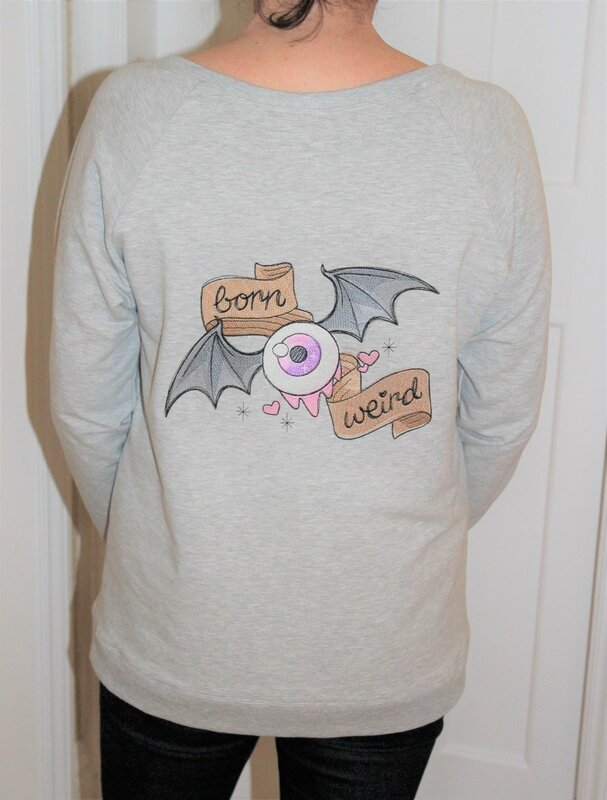 Whilst waiting for some bra kits to arrive I decided to put my favourite design on the back of an inexpensive sweatshirt. A trip to Bambers for embroidery thread (and also sequin fabric it seemed I needed) I was ready to start. It took forever to get the position right in the big hoop. I eventually got it on the machine and taped the excess fabric down. The tape didn't stick and I had to sit and keep the fabric away from the needle. I took a call and came back and thought "hmm, where is that sleeve". Yes, It was being embroidered! I did try to unpick but 10,000 stitches were just not coming out. So I had to cut the sleeve off to get it out of the hoop. So today I decided to make my own sweatshirt then I wouldn't need to hoop the whole thing. Just the week before I made the Linden so I had the patterns pieces ready to go and found some lovely soft fabric from Modystoffen that I picked up at the FOQ. So much easier to do it this way. However, this is the first big design I have done and I was a bit put out when the machine said 91 minutes. Pretty impressive - not to everyone's taste but I think it is fabulous. Now for the easy bit. This fabric had a softer drape than the one I had used for the previous Linden so I decided to shape the sides. I used a long basting stitch so I could try it on. With the sweatshirt inside out I marked where I wanted the waist and hips. Then I used my french curves to redraw the sides. Once happy with the shape I whizzed down the seams with my overlocker. The neck, cuffs and hem band are attached in the round. To attach evenly you mark the quarter points on the garment and binding and pin in place at these points. Depending on the gap between the quarters I add more pins as you can see in the neck above. I then overlock the seam allowance and finish by coverstitching to anchor the seams.